IP Cleaning India Pvt. 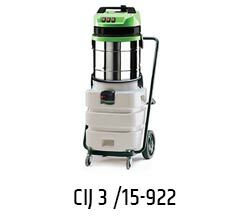 Ltd presents IPC ECOMET, an industrial wet and dry vacuum cleaner with three motors. JT 215 R, a flat mopping trolley consists of aluminum frame along with flat mops which are densely woven for various types of damp and wet cleaning needs. Effective for areas demanding extra cleanliness and where wet mopping cannot be implemented. It is paired with ultra-thin and light weight frame. These mops are easy to use, reduce stress and avoid fatigue. Can be used in hospitals, offices, schools & colleges, bars & cafes, banquet halls, etc.